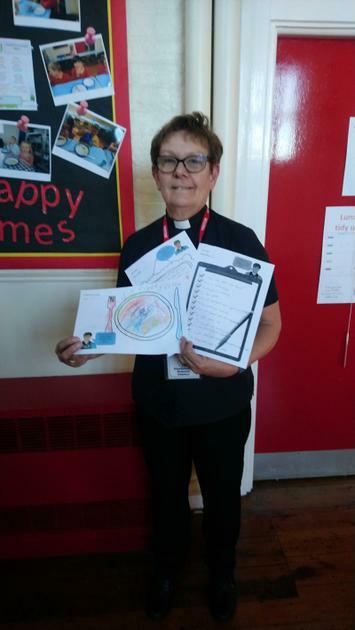 Margaret has been busy planning a new display for the dinner hall and asked each class to help by creating a picture or piece of writing about school dinners, which would be judged by Reverend Maureen, with one from each class being added to the display. 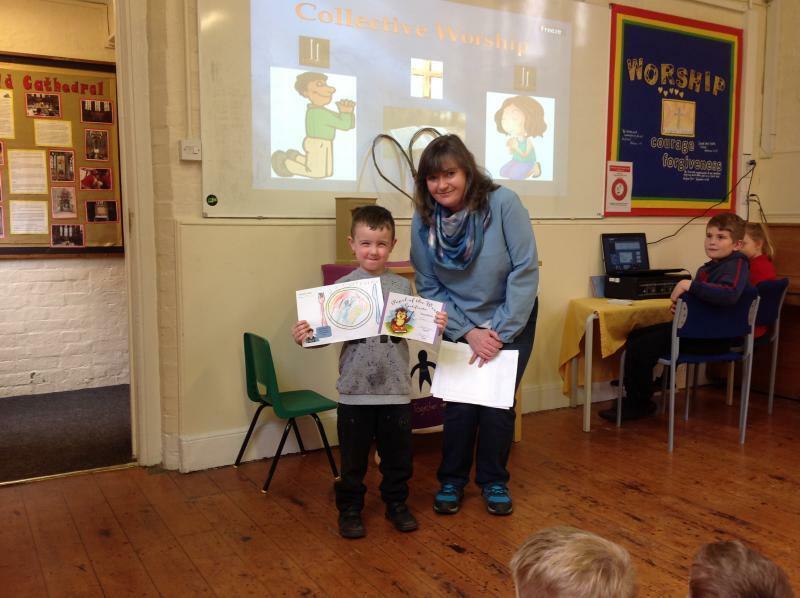 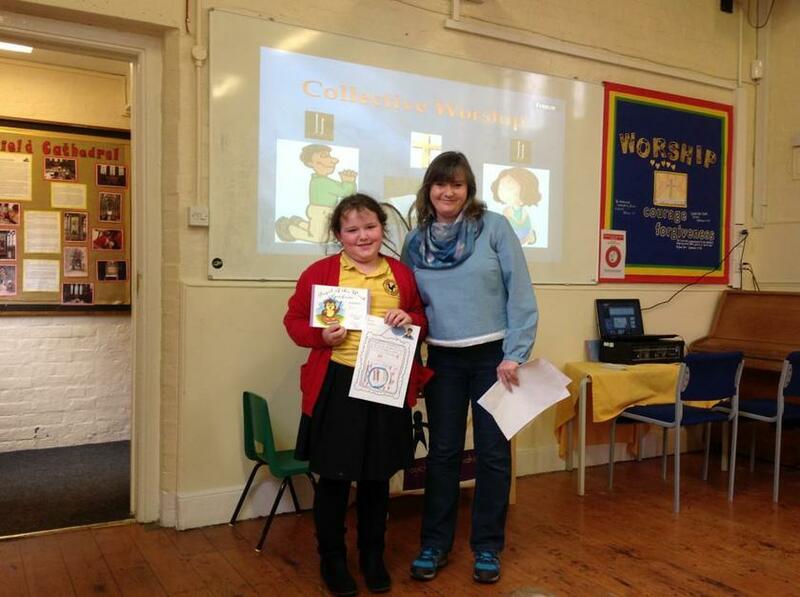 As always the children enthusiastically designed their pieces of work and made Reverend Maureen's job very tricky. 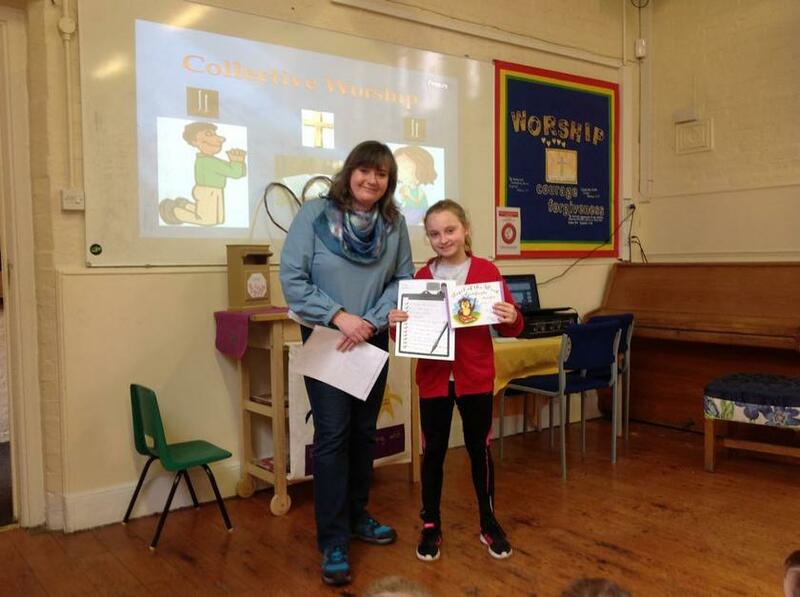 The winners from each class were announced today and next week they will be having their own cookery class with Margaret to bake cookies for the whole school. 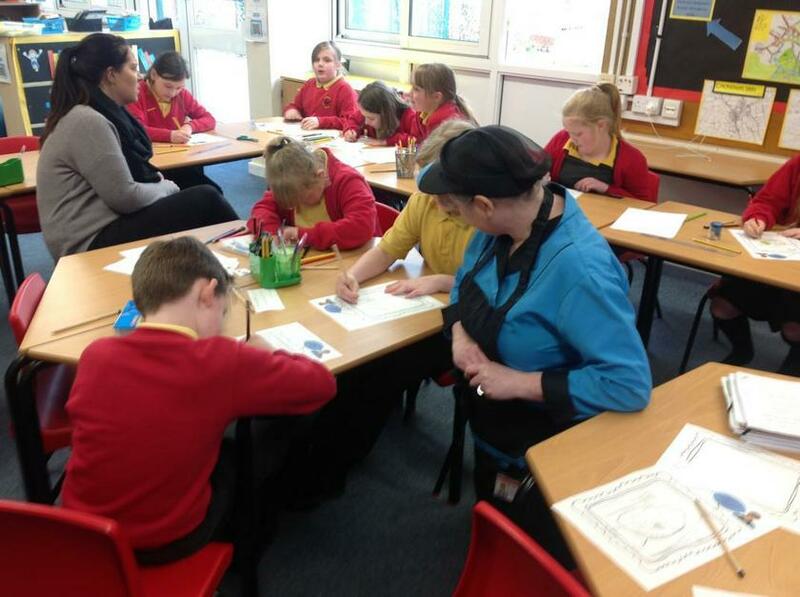 Well done to everyone for your enthusiasm.